NACFC: Visit Callion Pharma at the North American Cystic Fibrosis Conference held in Indianapolis next week. We will be glad to discuss our exciting new products for people who have trouble absorbing fat-soluble vitamins. Taste our DEKAs Plus Chewable Tablets – you will be pleasantly surprised! 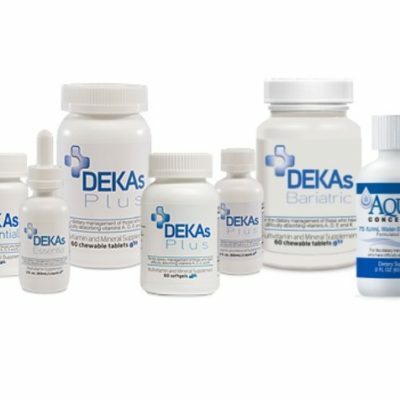 See Dekas Vitamins. NASPGHAN: Visit us at the North American Society for Pediatric Gastroenterology, Hepatology and Nutrition (NASPGHAN) conference next week in Las Vegas at booth #307. Callion Pharma will introduce Aqua-E Concentrate, a unique, patented, water-soluble vitamin E formulation delivering 75 IU of vitamin E per mL. Formulated with TPGS, Aqua-E Concentrate contains a clinically proven delivery technology to enhance the absorption of vitamin E in conditions associated with malabsorption. Aqua-E Concentrate is formulated for scaled dosing based on patient needs, and various dosages are easy to accommodate. It is odorless and has a neutral taste, so it mixes easily with most beverages, milk, and water, making it easy to administer especially in infants and children. It is also gluten-free with no added flavors or colors, assuring purity. See Aqua-E Concentrate. Obesity Week: Visit Callion Pharma at the Obesity Week conference next week in Washington, D.C. Callion Pharma will introduce DEKAs Bariatric vitamins, which are a multivitamin and mineral supplement formulation developed specifically for the nutritional needs of the bariatric surgery patient as bariatric surgery patients often need additional supplementation with specific nutrients. DEKAs Bariatric vitamin provides these specific nutrients and helps with the absorption of the micronutrients. DEKAs Bariatric vitamin meets the American Society of Metabolic and Bariatric Surgery (ASMBS) Integrated Health Guidelines for the Surgical Weight Loss Patient, 2016 update, the most current review of bariatric surgery patient’s nutritional needs. DEKAs Bariatric is pleasant tasting chewable tablets with an orange-peach flavor that is easy to take on a regular basis. See DEKAs Bariatric. Callion Pharma strives to bring to market advanced nutritional products that maximize micronutrient absorption. Callion Pharma is introducing dietary supplements for enhanced absorption utilizing an absorption enhancing delivery technology that helps patients overcome micronutrient malabsorption and lead healthier lives.